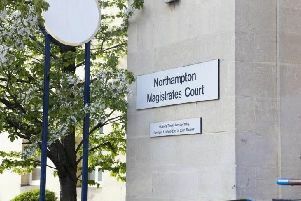 A woman was walking along a footpath in Billing Brook Road in Northampton when she was approached by a man who threatened her. The woman was on the path near Billing Brook School and Lings shops when a man with a ‘small knife’ demanded she hand over ‘stuff’. The victim refused and said she was calling the police. The offender ran off towards Billing Brook Road. The incident happened at about 10.30pm yesterday (Monday). The suspect is described as black, about 15-years-old, 5ft 5in, with cropped black hair. He was wearing dark clothing and had a cut or scar on his lip. Witnesses or anyone with information are asked to call Northamptonshire Police on 101. Alternatively, they can call the independent charity Crimestoppers anonymously on 0800 555 111.